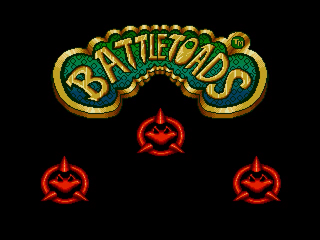 Battletoads is a port of the NES classic from Rare. 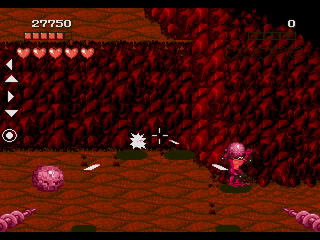 It's known for its steep difficulty, excellent music, and tons of variety. This port is faithful to the original but has tons of glitches. Still fancy your chances ? Come to me now, if you dare ! Ha - ha - ha - ha ! Hey 'toads ! The Dark Queen's kidnapped Pimple and Angelica and she's holding them in the Gargantua. Go get 'em, 'toads! Get ready 'toads! Down to the surface on the Turbo-Cables! 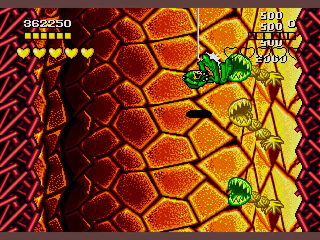 There are hidden warps in stages 1, 3, 4, 6, 10. 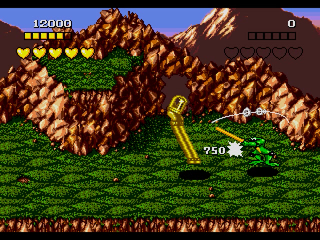 But using warps defeats the purpose of Battletoads: extreme challenge! You can get tons of extra lives. Even though it looks like you're full, the counter keeps going. Try to get as many extra lives as possible in stage 2 by repeatedly beating crows against the wall. 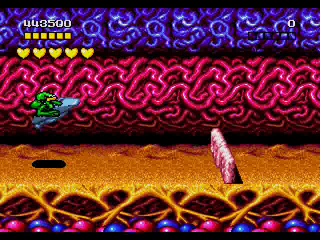 Battletoads for Genesis is an awful port. It somehow looks and sounds worse than the original and is lousy with bugs. 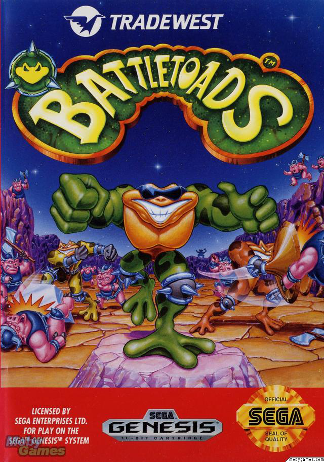 However, it's still Battletoads. The challenge and variety are nearly unmatched, and the compositions are still pure David Wise gold. For 'Toads maniacs only!